Only $8,999.99 with Free Two-Day Shipping! Can I carry out drone strikes with this thing? Looks the part doesn’t it. This system is not designed for field deployment and likely has not been evaluated by any person or entity operating armed UAVs for this purpose. For approved civilian UAV operation, there should be no problem. 4.0 out of 5 starsThere are some trade-offs to buying this device. Bought this product with the equivalent of a home loan. 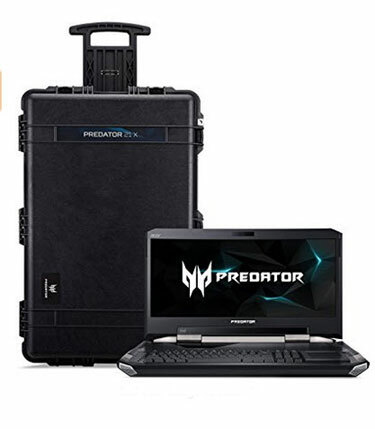 The moment I set it on my lap to use as a “laptop” like the product title and information states, both of my legs were immediately lost of all blood flow what so ever. It only took me a couple of minuets to realize that in fact the only thing that was keeping my legs upright and attached to my body was the laptop itself just by it’s sheer weight. I was able to sell my legs to cover most of the cost of the laptop. Comment| 35 people found this helpful. Was this review helpful to you? Comment| 39 people found this helpful. Was this review helpful to you? Comment| 4 people found this helpful. Was this review helpful to you? I was able to get ahold of a cartel working with the black market and sold my kidney for upwards of 18 grand. Bought the laptop and used the other half to buy a new car. Great PC, but it cant run Minecraft or Minesweeper so Im probably going to return it. Comment| 2 people found this helpful. Was this review helpful to you? Comment| 8 people found this helpful. Was this review helpful to you? HT: The Passive Voice via Karen L. Myers. 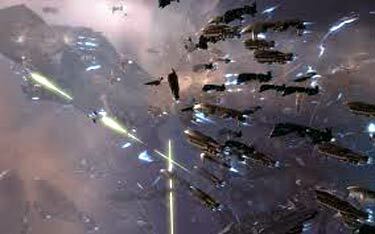 On Sunday night, the largest space battle in history took place, on the server of Eve Online. The Verge breathlessly reported the approach of the battle fleets. In less than an hour, a battle of interstellar proportions will break out in the MMORPG Eve Online, a spacefaring simulation with its own politics, economies, and wars — all controlled exclusively by players. Between three and four thousand pilots are set to do battle in one of the largest fights ever on Eve, which you can watch live below or on Twitch.tv. The battle is expected to rival the legendary Battle of Asakai as one of the most epic battles in Eve history — which totalled equivalent to $20,000 in losses for the losing team. Today’s battle doesn’t yet have its own name, but is taking place in a system known as 6VDT between two of the largest player alliances in the game, TEST Alliance and the CFC. In order to keep lag to a minimum, since the battle takes place on just one server, Eve’s developers will likely slow down time more than 90 percent so its server can process all player actions. This means today’s battle could take several hours to reach its explosive conclusion. Update, 3:20PM ET: The Verge’s war correspondent in Eve Online is bringing us live updates of the action about to unfold in deep space. As you can see below, the CFC is preparing to meet the TEST Alliance in battle. Intelligence suggests that the TEST Alliance is now staging its fleet. Today’s battle could be the culmination of months of conflict, propaganda, and preparation. More than 4000 people took to sci-fi MMO Eve Online last night for the game’s largest ever virtual space battle. Two of EVE’s biggest rival factions – TEST Alliance and the Goonswarm-led CFC – went head-to-head in a fight that lasted more than five hours and cost more than 2900 ships. The CFC eventually smashed TEST and sent it fleeing from Fountain, the area of virtual space where the two sides drew their battle lines. The battle was the culmination of a two-month campaign by the CFC to invade the Fountain area – TEST’s traditional home region – and was directly sparked by TEST’s decision to make an Alamo-style final stand. Robert Lee Hotz, in the Wall Street Journal, describes recent academic studies contending that gaming quickens the eye, speeds the reflexes, and keep’s the predatory human brain alert. Lots of us knew all that already. One particular statistic stood out. [T]oday’s average gamer is 34 years old and has been playing electronic games for 12 years, often up to 18 hours a week. 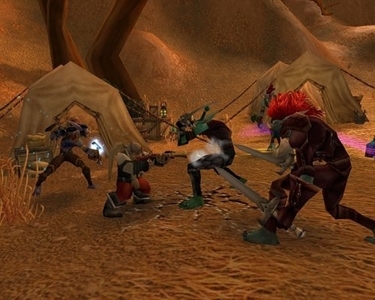 By one analyst’s calculation, the 11 million or so registered users of the online role-playing fantasy World of Warcraft collectively have spent as much time playing the game since its introduction in 2004 as humanity spent evolving as a species—about 50 billion hours of game time, which adds up to about 5.9 million years. Watch out, war criminals, Amnesty International was trying this week to get former president George W. Bush arrested by such impeccable democracies as Ethiopia, Tanzania, and Zambia for war crimes against terrorists, and soon the International Red Cross may be coming after you for laying down that land mine in Call of Duty. One of the world’s largest and most respected humanitarian groups in the world is investigating whether the Geneva and Hague conventions should be applied to the fictional recreation of war in video games. If they agree those standards should be applied, the International Committee of the Red Cross says they may ask developers to adhere to the rules themselves or “encourage” governments to adopt laws to regulate the video game industry. During this week’s 31st International Conference of the Red Cross and Red Crescent in Geneva, Switzerland, members of the committee held a side event to discuss the influence video games have on public perception and action. The International Red Cross made this video to document war crimes against imaginary electronic entities (IEEs). It makes perfect sense. If Geneva Convention protections can be extended on a completely non-reciprocal basis to terrorists and illegal combatants who routinely violate those conventions and all other laws and customs of war by a simple fiat and decree expressive of an international, entirely non-democratic and unrepresentative, consensus of self-appointed elite holier-than-thous, why shouldn’t entirely fictive and imaginary electronic entities not be entitled to receive the same kinds of rights and immunities from the same sources on the basis of similar reasoning and procedures? JourneyQuest is a web comedy series poking fun at role playing gaming produced by the Dead Gentlemen. There are four episodes so far, but the story has barely started. The most epic World of Warcraft duel is not going to be fought inside the game, reports the New York Times. Nor will broadswords, enchanted armor, and magic spells be producing the decision. DPS will be inflicted by interagency memoranda, and the Communist Party rather than the program algorithm will select the winner. My guess is the Ministry of Culture is going to pwn those N00bs from the Administration of Press and Publication. It could almost be a World of Warcraft game session — two competing titans, plotting against each other, swapping blows, embarked on a quest for a single prize that only the stronger of them will claim. The virtual World of Warfare game is the subject of a regulatory dispute in China, where such games are big business. But this is not virtual reality. The titans are two agencies of the Chinese government. And their quest, during which they have traded a few blows in the past week, is for a potentially rich prize: the power to regulate the real World of Warcraft, among the most popular online games in China. 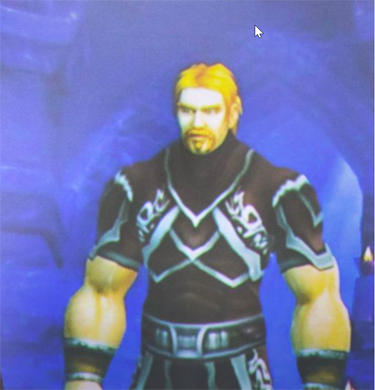 The background: On Monday, the Chinese General Administration of Press and Publication ordered the Shanghai-based operator of World of Warcraft, NetEase, to shut down its servers for World of Warcraft. The agency said that it had rejected the company’s application to become the new host of the game’s four million Chinese players. But by Wednesday, the Ministry of Culture had struck back. The ministry said it had that authority. And it said NetEase was perfectly free to offer the game on computers in China. The matter now appears destined for settlement by the State Council, the Chinese government’s cabinet. Such bureaucratic hair-pulling might seem petty, were so much not at stake. Why the authority to regulate video games should trigger such a fracas is not altogether clear. But on its face, the defining aspect of the dispute involves money. The online gaming industry in China is already huge, and growing fast. About 50 million people crowd the Internet cafes of China on a regular basis to play. Revenues in 2008 rose about 50 percent to at least $2.9 billion, according to Alicia Yap, a Hong Kong analyst for Citi Investment Research and Analysis. That is 10 times the revenue of just five years ago. IDC, a research company, has predicted that annual revenue will reach $6 billion by 2013. In that context, the question of who decides what games go online — and how they decide — looms large. the Archives of Never Yet Melted in the 'Gaming' Category.